Strategy Analytics predicts the smart speaker market will nearly quadruple in unit volume this year, bringing the total to 24 million. According to eMarketer, smart speakers will likely outsell wearables in the U.S. this holiday season. 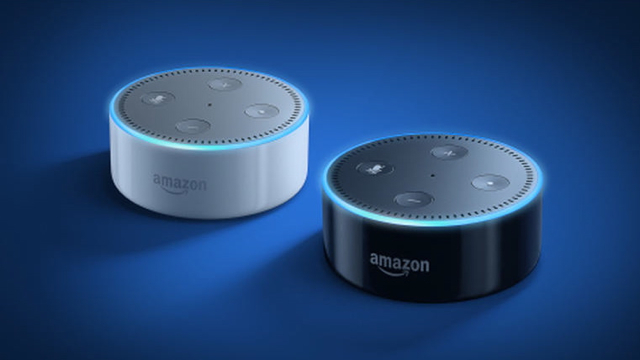 “We expect smart speakers to be the gift of choice for many tech enthusiasts, because of their lower price points,” said eMarketer analyst Cindy Liu. The research firm anticipates continued growth for devices such as smartwatches and fitness trackers in the U.S., but slowed growth in terms of usage. “Other than early adopters, consumers have yet to find a reason to justify the cost of a smartwatch, which can sometimes cost as much as a smartphone,” said Liu. If the forecast is accurate, we should expect growth rate to drop to single digits by 2019. Modest growth for the wearable market reflects similar forecasts from IDC and Canalys. “Gartner, meanwhile, had predicted 17 percent global growth in 2017, but counts things like Bluetooth headsets (such as AirPods), body-worn cameras, and head-mounted displays in its grouping, alongside smartwatches, fitness trackers, wristbands, and other health monitors,” TechCrunch notes. According to eMarketer, 55 percent of U.S. households will have a smart speaker by 2022.